The best way to maximize your odds of beating the house on your next trip to the casino is to play the right games. While nearly every bet on the casino floor features some sort of house advantage, they aren’t all created equally. Depending on the games you play and the bets you make, you may be providing the house with a bigger edge than is necessary. Through the right combination of strategy and luck, you can minimize the house advantage and increase your chances of coming out on top, especially if you choose the right games. 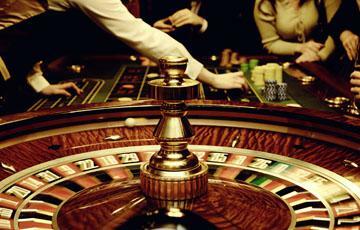 Let’s take a look at the casino games with the best odds for players. Following basic strategy, blackjack offers players a house edge of just one percent in the majority of casinos. The game’s simple rules have made it a favorite among gamblers for years, but it’s important to do your homework before stepping up to the table. Typical players give up an advantage of approximately 1.5 percent as a result of mistakes in play, highlighting the importance of proper strategy in ensuring the very best odds. This high-energy dice game may seem a bit intimidating for beginners, but, with nearly 50-50 odds, it’s worth checking out. Start with the Pass bet, which features a house edge of approximately 1.41 percent. The game starts with the come out roll. If this roll is a 7 or 11, the Pass bet is a winner and pays out even money. If the game continues after the come out roll, don’t forget about the Odds bet, which is one of the few bets in the casino with no house advantage. This game is easy to follow and pays out relatively well if you place the right bets. Avoid specific numbers in favor of the outside bets, which include red and black, even and odd, and low and high options. These bets offer even money payouts, and the house edge comes in the form of the green zeroes, which pull your odds of winning slightly below 50 percent. A fixture in high roller areas around the world, baccarat is easy to play and features some of the best odds in the entire casino. Take your pick between the banker bet, which features a house edge of 1.06 percent, or the player bet, which features a house edge of 1.24 percent, and simply watch the cards be dealt. Stay away from the tie bet, however, as it features one of the largest house edges of all casino games at over 14 percent. For players that follow a proven play strategy, video poker offers the chance to eliminate the house edge in some cases. However, misplays can quickly cut into this slight advantage. If you’d like to try your hand at video poker, it’s best to study proper strategy beforehand in order to maximize your odds of success. Now that you know which games give you the best chances of winning, it’s time to put your luck to the test! Take your pick from this list of favorable casino classics, and get on your way to your next big win.